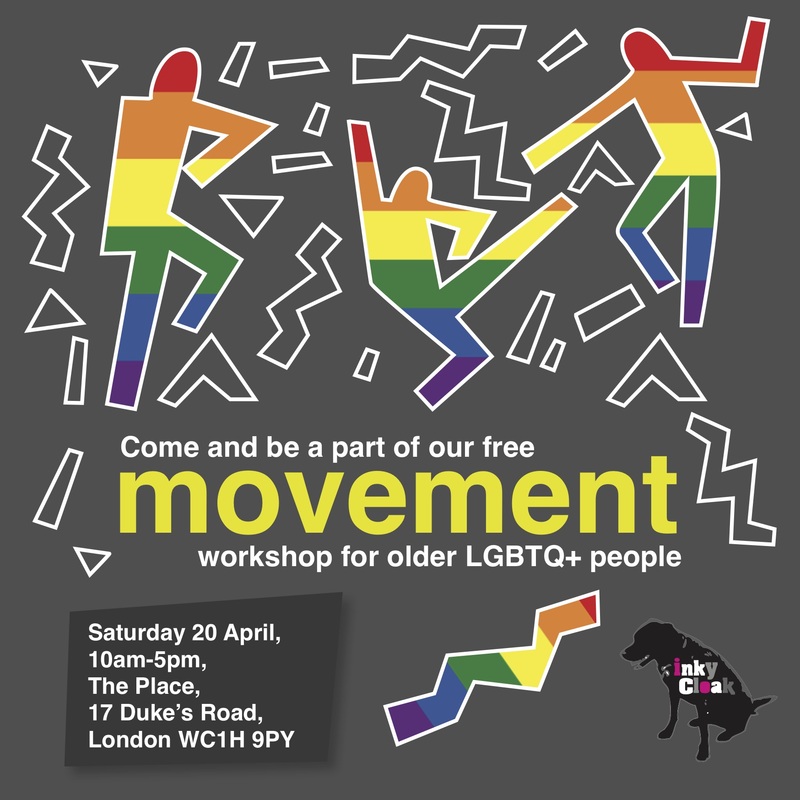 We’re running a free movement workshop for LGBTQ+ people aged 55 and over at The Place on Saturday 20 April 2019 with the brilliant choreographer Gary Clarke. Gary Clarke has a huge amount of experience working with community-driven projects, most recently with the LGBTQ+ community in Hull and the queer performance collective Duckie for Hull City of Culture 2017. You can read more about that piece, Into The Light, which explored the 50 years of LGBTQ+ life since partial decriminalisation here. Instead of learning steps and routines dreamed up by Gary, we will be learning how to start telling our own stories through movement. We’ll work together to unlock our creativity and confidence through movement and play. No performing experience of any kind is necessary. We are holding this workshop to help develop Inky Cloak’s new theatre show, which tells the interweaving stories of three queer elders who all rebel – in their different ways – against the efforts of their carers to drive them back into the closet. We’ll talk a little more about the show at the workshop. To book your free place or get in touch with any questions, please email us. Places are limited and weill be allocated on a ‘first come, first served’ basis.